The distraction of the NCAA men's basketball tournament may not be as bad for employee productivity as you think. 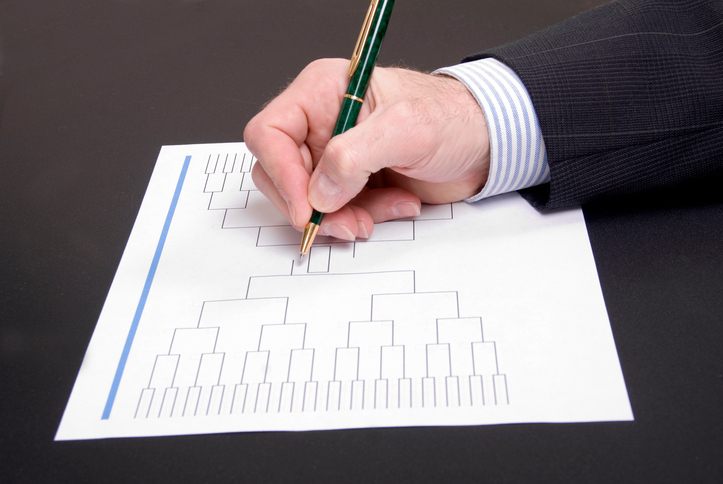 How much is March Madness costing your company? Numerous studies have looked into the issue of employees who are slacking because they are distracted by the NCAA Division 1 Men’s basketball tournament. There is no definitive answer. “Between streaming games during work hours to filling out brackets to just discussing the games with co-workers, it’s likely employees will spend much more than one hour during the tournament engaged in March Madness-related activities at work,” said Andrew Challenger, vice president of global outplacement at Challenger. Of course, since many workers earn more than the average, the bill at an individual company could be much higher. That’s why a new estimate from Office Team, a unit of Robert Half, might be more useful. OfficeTeam’s study of 1,000 U.S. workers and 300 senior managers found that the average employee will spend 25.5 minutes per day on sports-related activities during the college basketball playoffs. With the tournament lasting 15 days, that amounts to about 6 hours in total. Males 18 to 34 years of age spend the most time related to March Madness at work, and females 55 and over the least time, according to OfficeTeam’s results. The most common activities related to the tournament are checking game scores and rankings and engaging in sports talk with colleagues. Using the BLS earnings data, that six hours amounts to about $165. The total might not scare you if you only have 100 employees, but what about one of the tournament’s “corporate champions,” such as Capital One Financial. With 49,300 employees, March Madness could cost Capital One as much as $8 million. But Capital One is also projected to earn about $4.7 billion in net income in 2018, so $8 million doesn’t even amount to a rounding error. And it’s a very rough number. Indeed, the consensus among outplacement and employment firms is not to sweat how much time your senior accountant spends researching whether or not Murray State will upset West Virginia. Indeed, the yearly sporting ritual may be beneficial. “The tournament is a perfect opportunity for colleagues to bond in the workplace. Any attempt to keep workers from the games would most likely result in real damage to employee morale, loyalty, and engagement that would far outweigh any short-term benefit to productivity,” according to Challenger. Even those options might not cut into productivity as much as it sounds, because a company’s best workers will probably be just as productive as usual. A fifth of employees don’t even care about the NCAA tournament and would “rather focus on work,” said OfficeTeam. If a manager can’t trust an employee to manage his or her time, after all, they have a bigger problem than the NCAA tournament.